Looking for the perfect last minute Christmas gift? 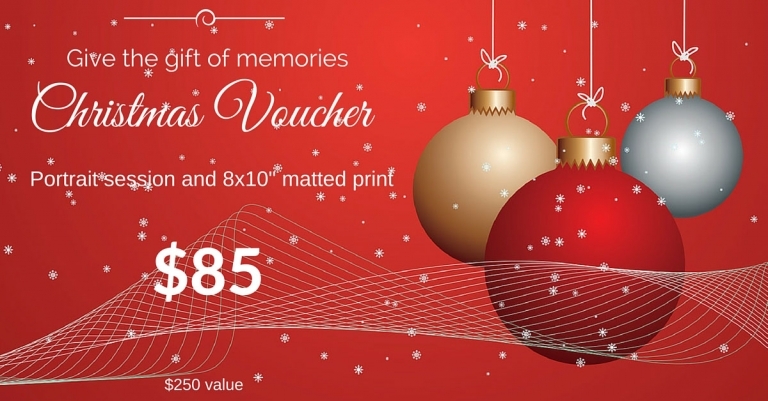 Our Christmas e-vouchers are just $85 and include a studio or park session and an 8×10″ enlargement. That’s $250 value for just $85! Simply complete your details below and your e-voucher will be emailed to you for you to print and give to the recipient at Christmas.